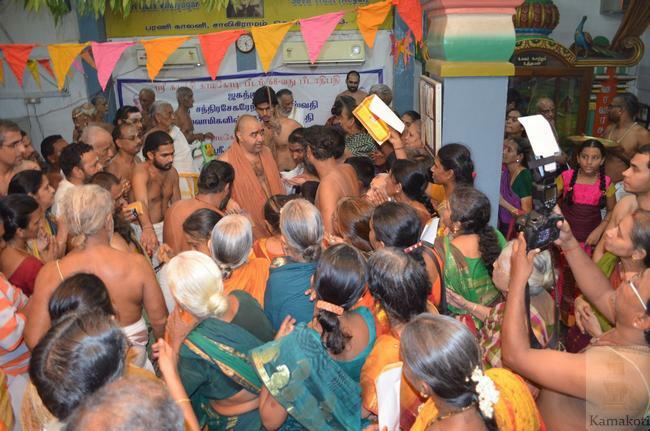 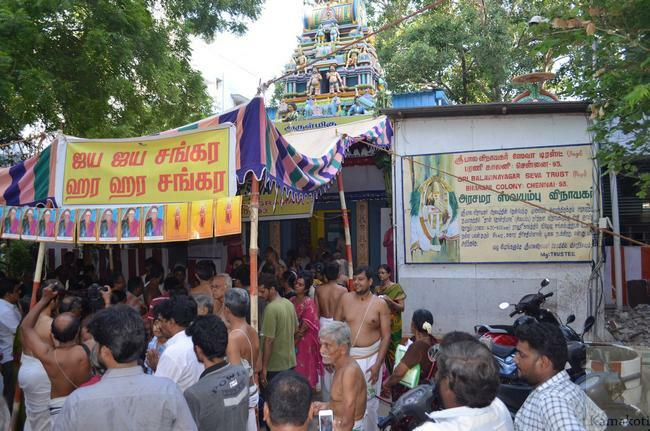 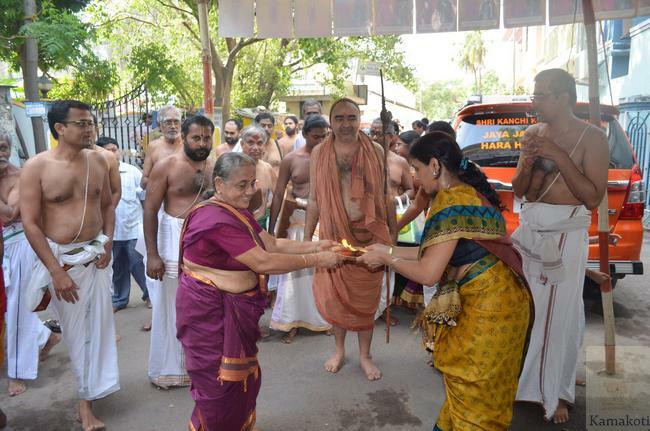 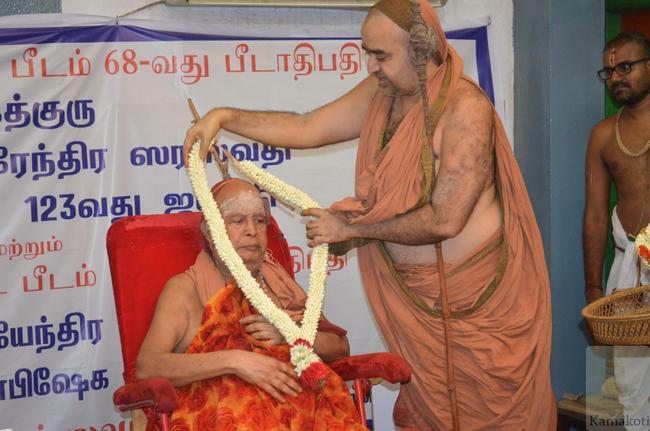 The 123rd Jayanthi of Kanchi Paramacharya HH Pujyashri Mahaswamigal & Satabhisheka Mahotsavam of HH Pujyashri Jayendra Saraswathi Shankaracharya Swamigal was held at Sri Bala Vinayagar Temple, Barani Colony, Saligramam, Chennai in the benign presence of Kanchi Acharyas. 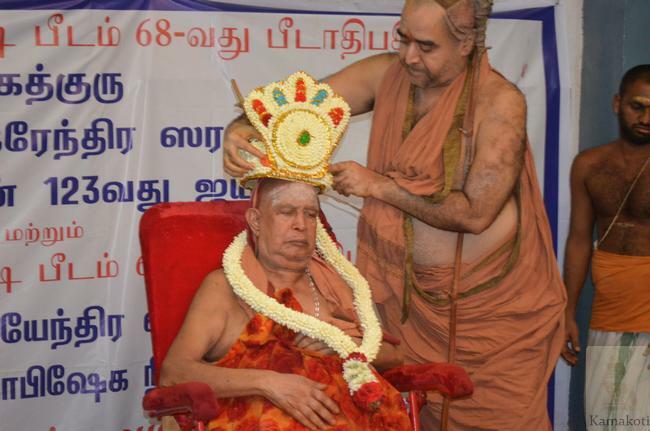 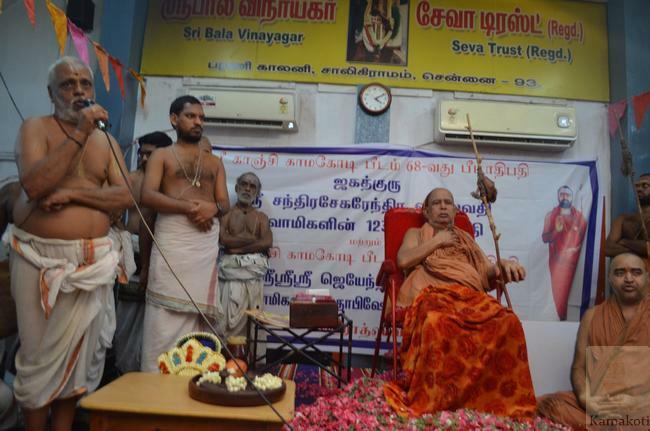 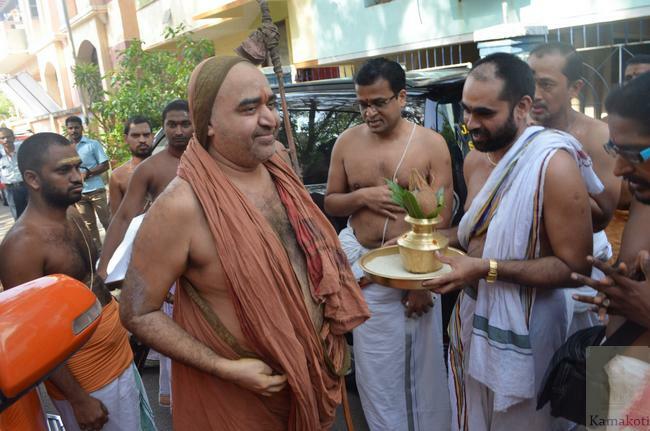 Senior Vedic Vidwans were honoured. 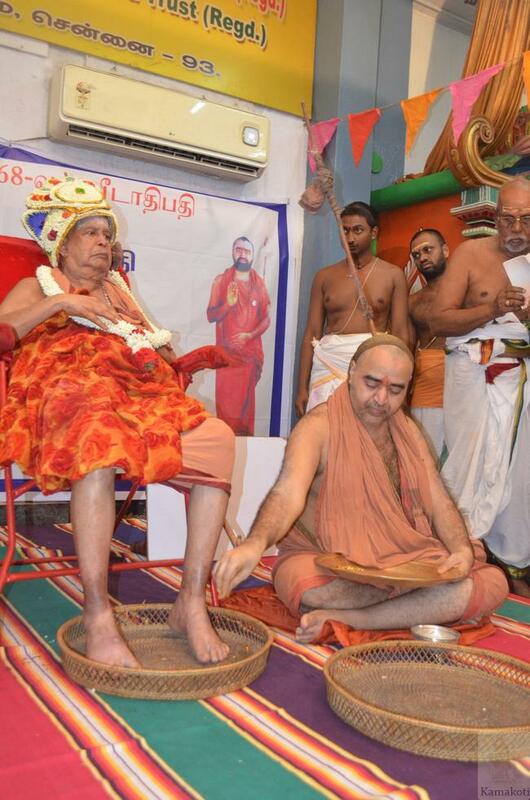 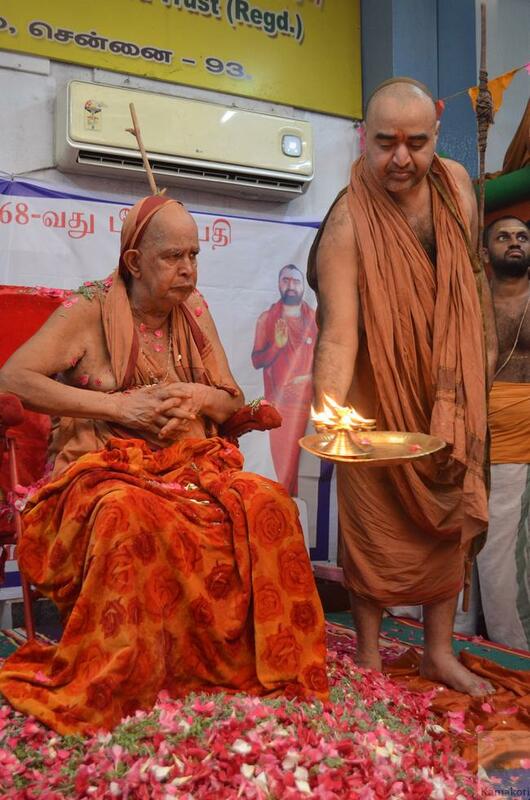 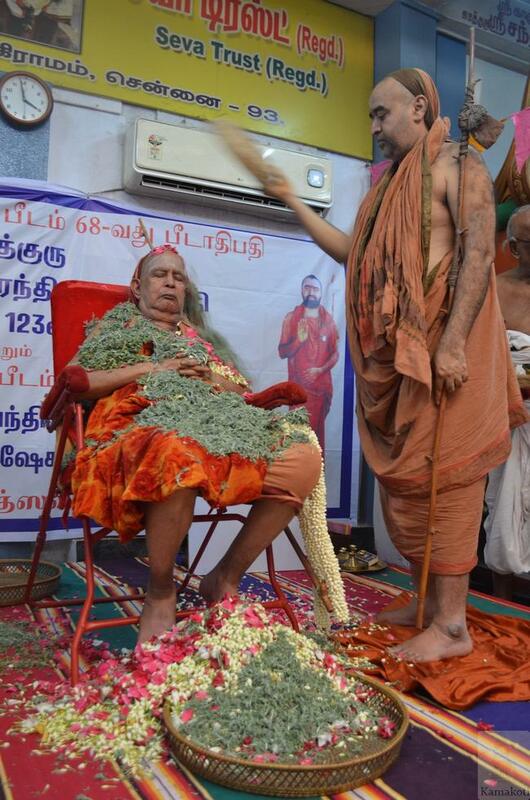 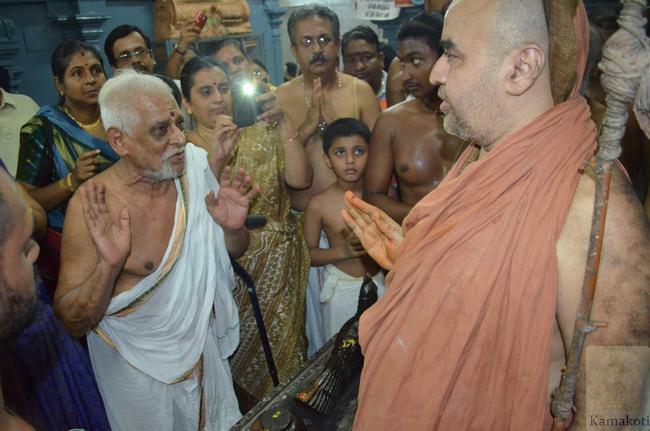 His Holiness Bala Periyava performed Swarna Pada Puja to His Holiness Shri Periyava. 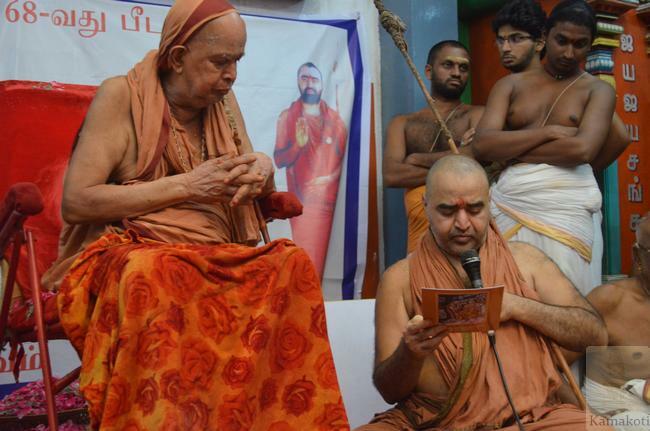 Scholars belonging to Rig, Yajur, Sama & Atharva Vedas chanted mantras. 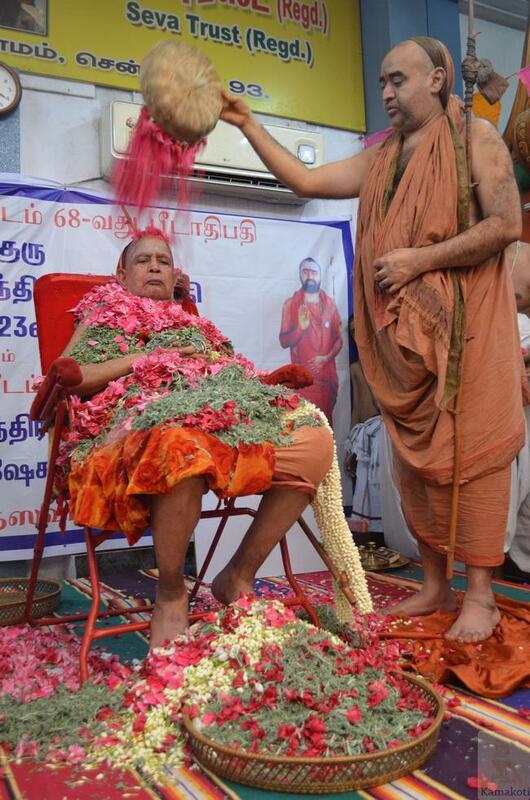 His Holiness blessed one & all.